Thought you might like the finished pictures (best I can take with my camera). The railings are beautiful and everything I had hoped for. 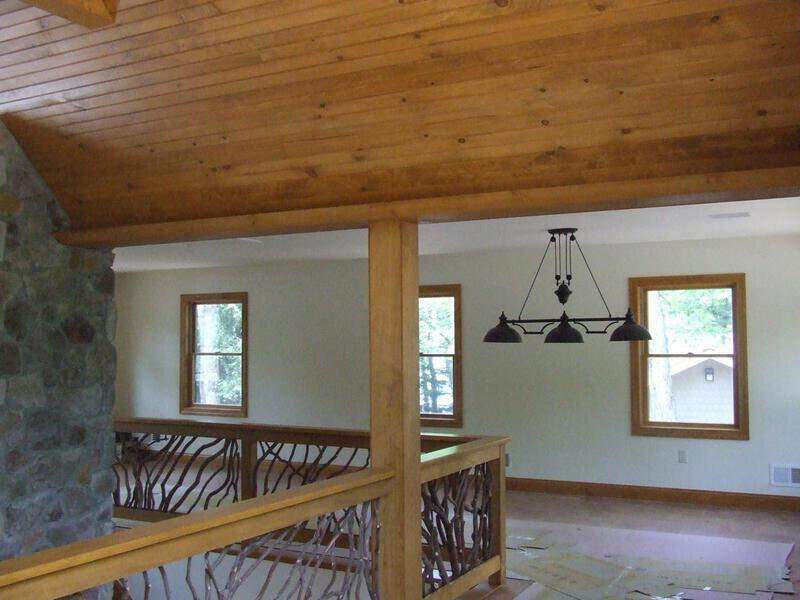 They really are the finishing touch on a beautiful lakefront cabin in the woods of Pa. You are most welcome to use these in your advertising and are welcome to visit and see the results for yourself. Many thanks. I can’t express how pleased we are with both the product and your service. A Mountain Laurel balcony railing provides the finishing touch in this lakefront cottage, nestled in the woods of Pennsylvania. As you can see in the picture, the second story balcony surrounds an open concept living room. 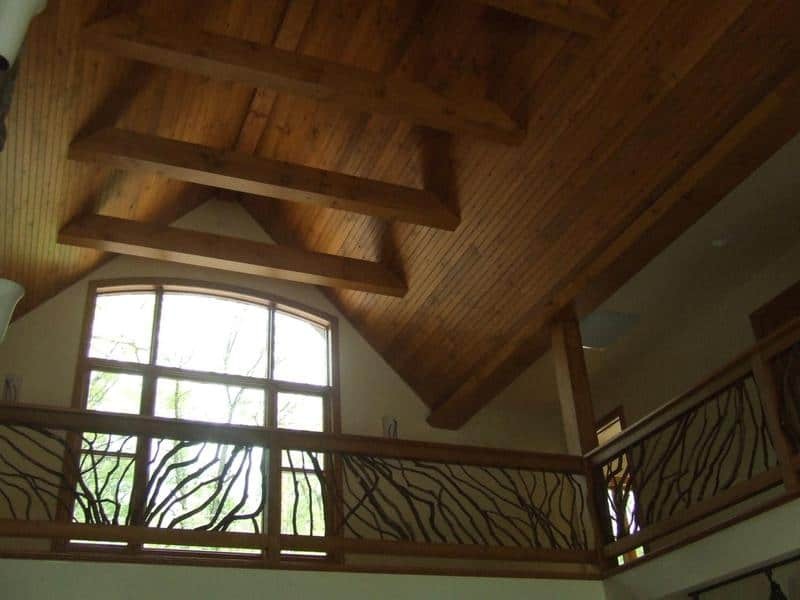 This is the perfect place to display an art form — hand-crafted branch balustrades. The Laurel branches with their bark intact really bring the natural beauty and charm of the woodsy outdoor landscape indoors. 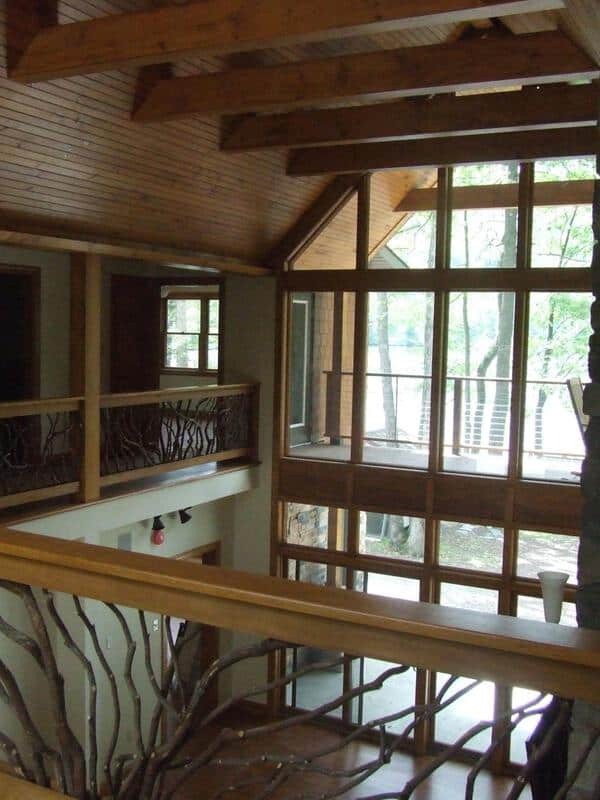 Additionally, the railing blends naturally with other rustic architectural elements in the interior, from the cut-stone fireplace to exposed wooden beams in the ceiling. One by four Western Cedar boards are used in the top and bottom rails to secure the branches. A visually appealing combination of short newel posts and tall pillars alternate to support the railing sections. The sun shines through the window outlining the eye-catching shapes created by meandering branches in the railing, which also mirror the branches in the trees outdoors. This is a picturesque view from the lower level looking up. In this view of the stairway railing, you can see how real wood and branches add richness to the clean and crisp room painted in white. 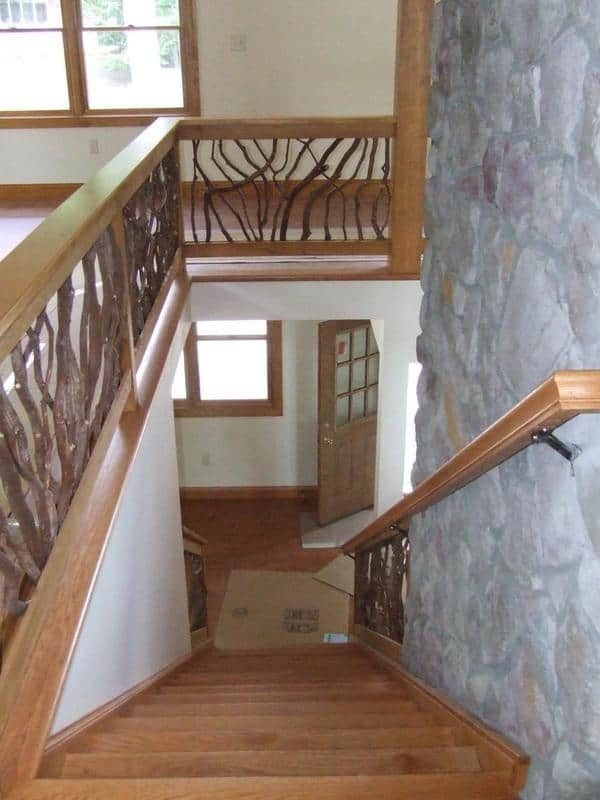 In the picture above, notice the intricate details of the branch balusters, including their natural reddish brown hue. Their color and rough texture create a subtle contrast to the smooth planed and walnut stained wooden parts of the staircase. Another design point to note in the picture below is how the sinuous branches from the Laurel tree break up the linear form created by the other wooden elements in the interior, such as the tongue and groove ceiling. Unlike vertically placed balusters, this adds a nice mix of form and much visual interest to the cottage’s interior. An open concept floor plan is becoming a very popular choice for the relaxing and welcoming ambiance that it evokes, particularly in this tree-lined spot on the lake. And as you can see in these pictures, the branch balcony railing Pennsylvania makes the perfect complement with its artistic appearance. Here are the pictures of our absolutely, stunningly gorgeous deck (thanks to you). Sorry it took so long, I was trying to wait for the flowers to bloom a little more—-lol. Please let me know what you think. If you’re lucky enough to call Pennsylvania home, you know firsthand how beautiful the landscapes of the state truly are. Come spring, there are flowers in full bloom, and summer brings with it lush green as far as the eye can see. Autumn treats the eye to vibrant foliage, and winter provides the breathtaking sights of trees covered in ice and snow. 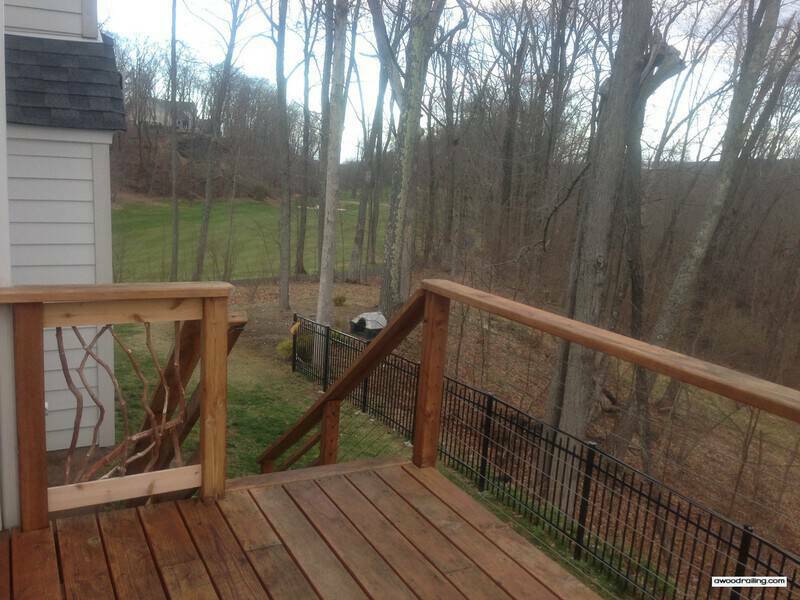 When you have a beautiful deck completing your Pennsylvania home, you have the perfect place to take in the scenery. 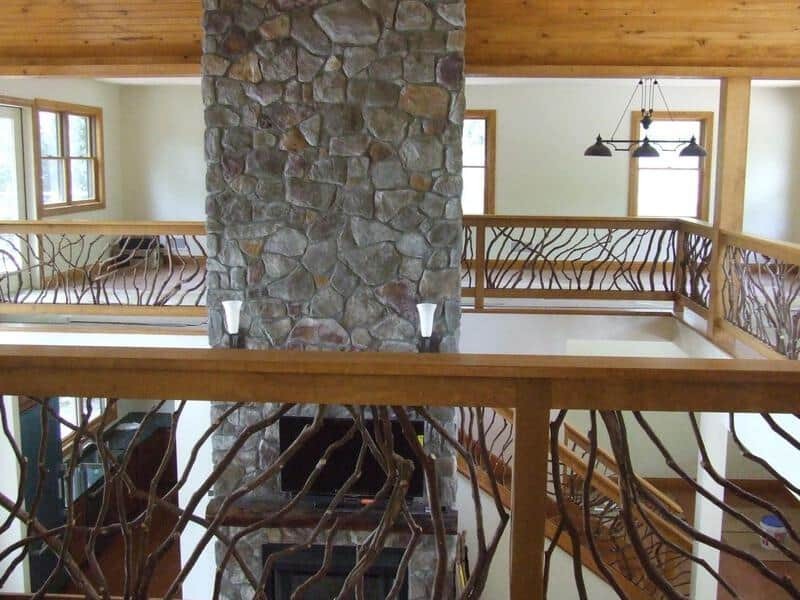 Mountain Laurel Handrail specializes in Pennsylvania deck railing design and manufacturing, and we can help you put the ideal finishing touches on your deck. When it comes to having a beautiful deck you’re definitely going to need a deck railing to accompany it, and people whom are living in Pennsylvania shouldn’t even question this thought! Being outside when the birds are chirping and the flowers are blooming is an experience that nobody can mimic, so being outside on the perfect deck to enjoy it would only be ideal. Those who live in Pennsylvania usually don’t get a chance to soak up the scenery, but with the right deck (and the right deck railings) it’ll be easier than you could have ever imagined. 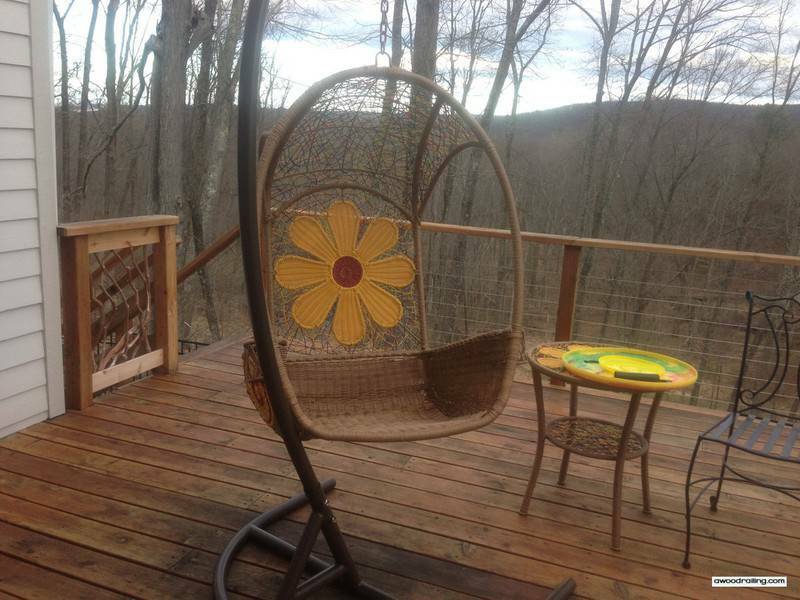 Even the most beautiful deck isn’t complete without the right railing. When you step outside and onto your deck, it’s not the surface under your feet that you notice first; it is the railing right in front of you that catches your eye. You want to ensure that you put as much care and attention into selecting the right Pennsylvania deck railing supplier as you do the contractor to build your deck. Not only does a well-made deck railing add beauty to a backyard, but it also helps to ensure your safety. A strong, durable deck rail will allow you to lean with confidence as you drink in the beauty of our Pennsylvania landscapes. 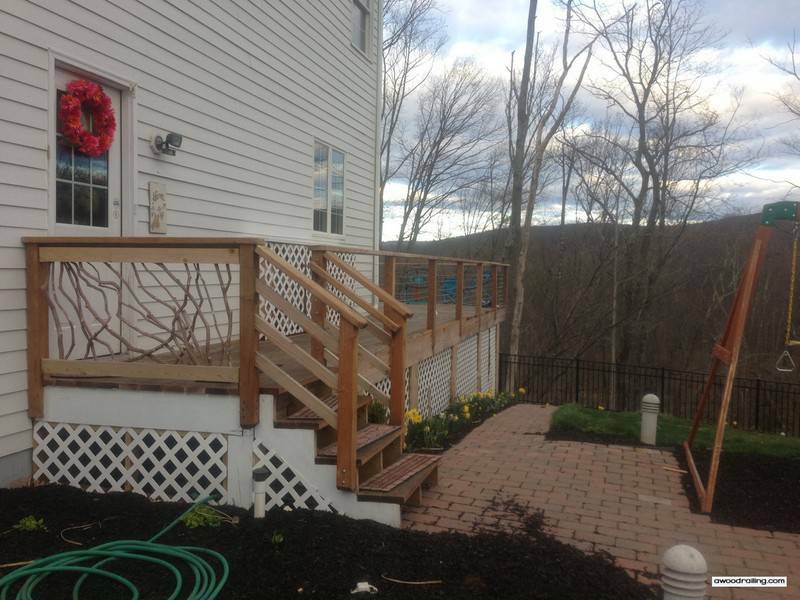 No two Pennsylvania homes are completely the same, so why should deck railing be generically designed? When you choose Mountain Laurel Handrail for deck railings in Pennsylvania, you’ll find an array of options available. Our deck railings are beautifully crafted to add character to decks, and we can custom make something with your personal tastes and the style of your home in mind. 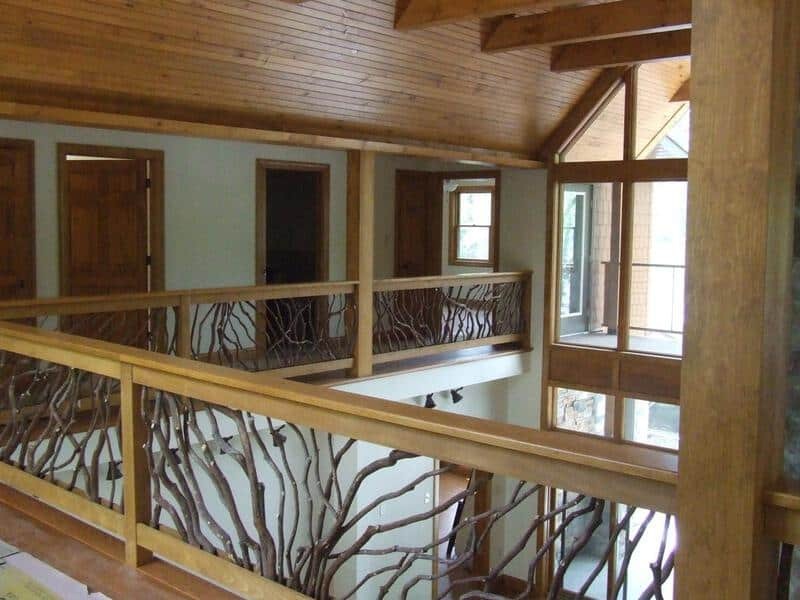 When you want a design that is truly unique to complete your deck that will truly complement your home, a railing from our collection is the absolute best choice. Mountain Laurel Handrail has an abundance of quality products to offer the citizens of Pennsylvania, so nothing is stopping you from purchasing the deck railings that you’ve always wanted. You don’t even have to like nature to love deck railings we have to offer are not only stylish, but they’re made with quality materials that can withstand the weather. There’s only one name to think about when you’re looking into deck railings within the Pennsylvania region, and that’s Mount Laurel Handrails! Don’t cut corners when it comes to these projects, because quality is key when you want the best available service money can buy! 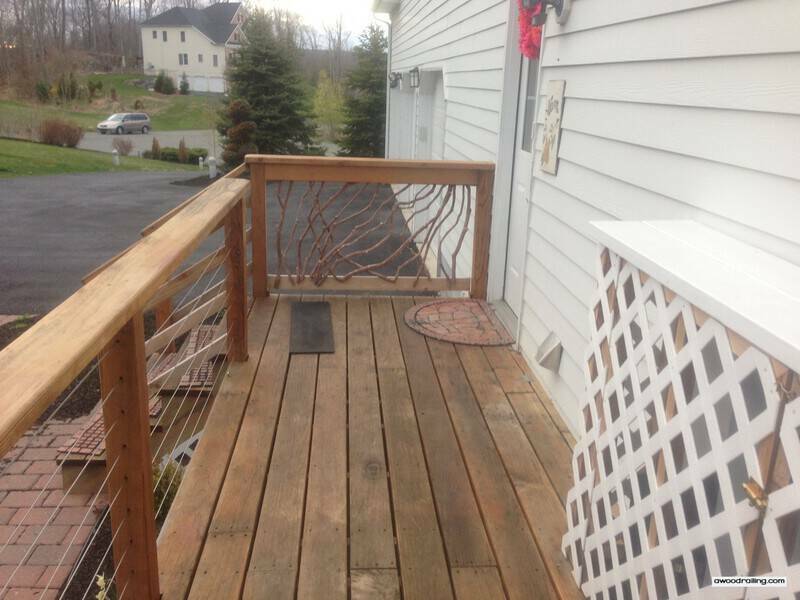 You don’t purchase a deck railing for your Pennsylvania home every day. 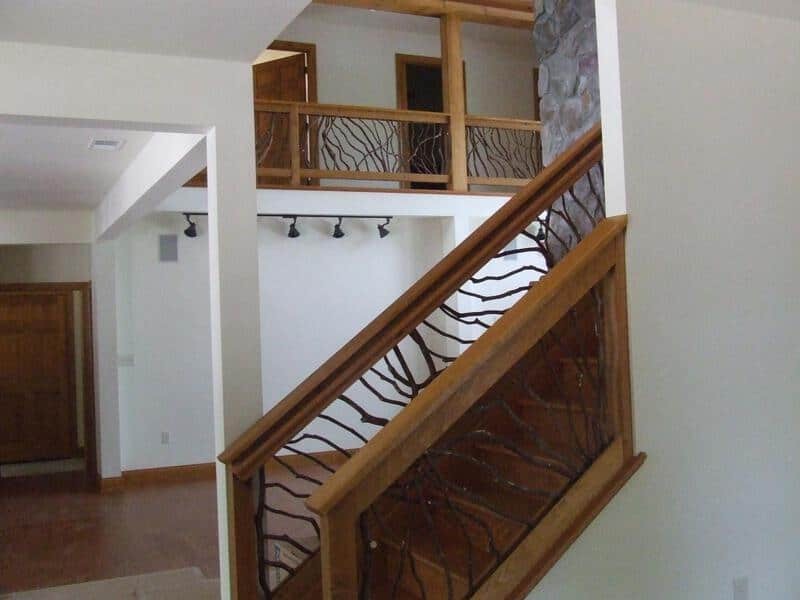 When you invest in a new railing, you want to make sure that you’re getting the best, and that your investment will last beautifully for years to come. That’s why Mountain Laurel Handrail only uses the finest quality hardwoods in the design of our deck railings and why we craft each railing individually by hand. 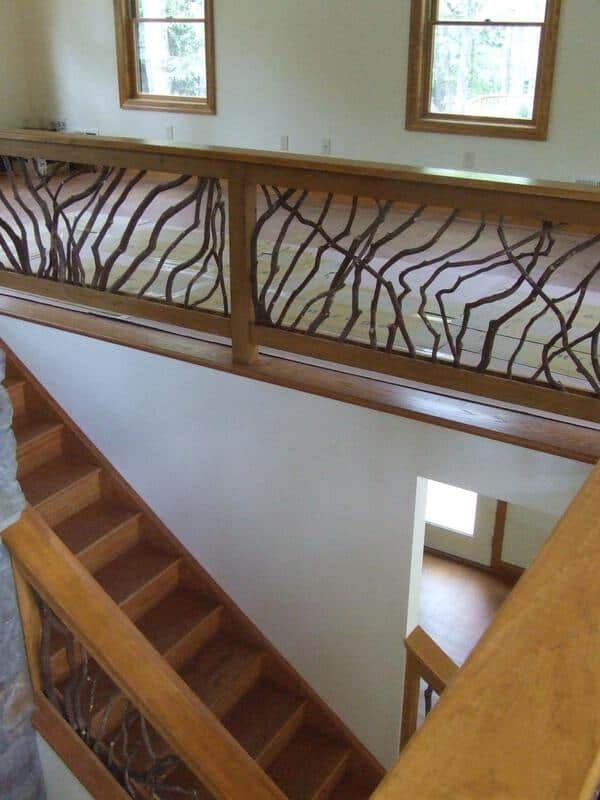 Our skilled team of independent woodworkers puts great care and attention into every railing that we produce. We take pride in our work and that comes through in the quality of the deck railings that we create. Choosing a deck railing from Mountain Laurel Handrail for your Pennsylvania home means getting the absolute best for your deck. With so many products available for you to choose from, we can help you create the deck of your dreams. Get your project underway today. Fill out the form on our “Contact Us” page and tell us about what you require. We’ll send you a free initial quote and help you explore the deck railing options available for delivery to you in Pennsylvania.